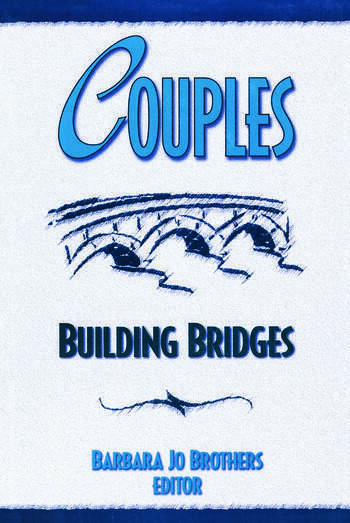 Couples: Building Bridges shows therapists how to successfully apply basic principles of human interaction and communication to help facilitate intimate connections between people. Using the approaches in this book, you will see how the bridge between couples materializes naturally as a result of the combination of respect, truth, careful observations, awareness, and shared information. Contributors in Couples: Building Bridges encourage therapists to bring their own behavior into awareness--to see themselves as the major instrument of change in the therapy process and to recognize that work must begin with themselves before starting to work with couples. However, the book stresses that therapy is not something performed on a couple but rather a process geared toward increasing the range of choice of behavior for clients. Therapists working with couples or with individuals seeking therapy concerning their intimate relationships will find Couples: Building Bridges a valuable reference for promoting healthy, open relationships.